These days, autoresponders make for great follow up tools. You can set them up to your liking, as they are easy to set up and will hold a lot of preset messages. Although they are very popular, a lot of people fail to see the power they hold and therefore never use them. 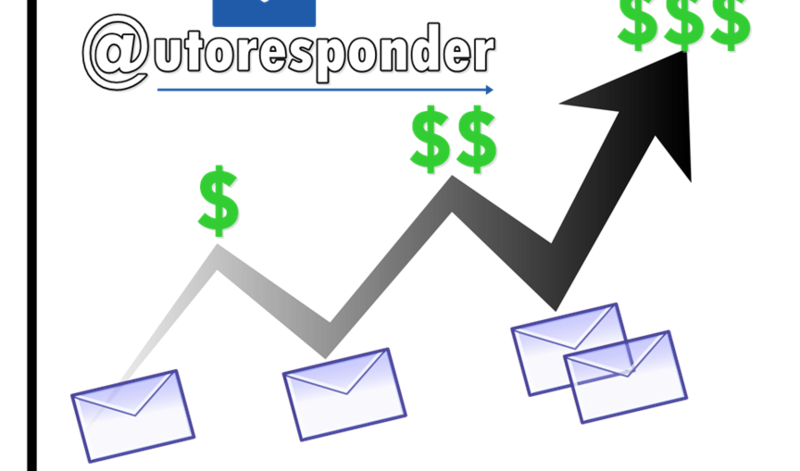 If you’ve been looking to make extra money, the tips below will show you how you can Make Money sending Emails using Autoresponder. The first thing to do, is ensure that your site has a signup form. A signup form is an obvious way to use an autoresponder, yet a lot of people don’t think about it. Each and every day your website attracts visitors, many of visitors never come back. If you put a signup form on your site, they can sign up and become a contact. This way, your customer base will grow with each passing day. You can stay in close contact with your customers this way, and even increase your audience over time as well. You can also give out free reports or ebooks as well. It’s actually an easy task to exchange reports or ebooks for someone’s email address. Even though you may not have a website, you can still make the free report or ebook available by having people send blank emails to your autoresponder. In doing so, you will build a client list and get your ebook , report or free training out there – which can help you make money. You can also choose to publish an article. To do so, you’ll need to load your autoresponder with a course that contains several chunks. This way, your clients will receive your reports or training and material in sections. You can also build a customer base this way, and eventually recommend you to their family and friends. Once you have a relationship and your clients start to trust you, you can send them information for other products. You can also use autoresponders to give a finishing touch as well. When you send an email out, ask the recipient to pass your email along to family and friends. As they pass your emails along, you’ll gain more subscribers. Although you’ll have to start out small when you first begin, you’ll find that your client list will grow in little to no time at all. Autoresponders are also great to use with customer response as well. Autoresponders are very handy, and they can answer a large portion of your technical questions. Whenever someone sends you an email needing customer support, simply answer with an autoresponder message that entails a lot of the most common problems. A lot of customers find this to be very helpful, as chances are it will cover the issue they are experiencing. Autoresponders are also handy with site updates as well. If you update your site on a regular basis,write new articles, upload new offers or products you may want to use an autoresponder with your subscribers who want to be informed when your site is updated. With an autoresponder, all you have to do is send out a broadcast email and everyone will be informed at the same time. No matter how you look at it, an autoresponder can help you bring in profits – as well as make your life a lot easier. They are easy to use, and will work great with your website. If you operate several websites, you simply must have one of these. Once you use an autoresponder – you’ll never want to find yourself without one again. If you’re interested in finding out how easy they can make your life, all you need to do is give one a try.